Provide comfort for the family of Ada Weston with a meaningful gesture of sympathy. 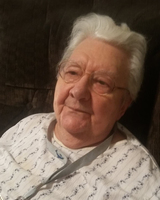 Ada Pearl Weston of Thedford passed away peacefully on Thursday, January 17th, 2019 at her residence at The Country Manor in Thedford in her 80th year. 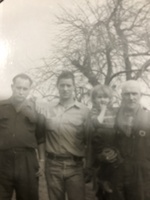 Ada met her beloved husband Graham (1980) in 1954 and worked side by side with him. Ada and Graham raised their family of Doug Weston, Melba & Carl Tedball, Wayne & Joanne Weston, Cindy Weston (2015), Marg Frankow & Rick Langdown and Ruth & Doug Scott. Ada will be missed by her siblings Doris & Gary, and Don. Family was everything to Ada and she proudly leaves a legacy of several Grandchildren, Great Grandchildren, and Great Great Grandchildren. Ada is predeceased by her four siblings Bernice, Myrtle, Bessie and Mary. 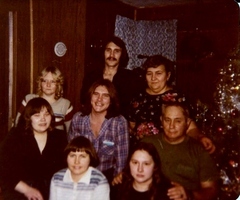 A dedicated Mom and caregiver to Cindy described Ada by both family and friends, dedicating her whole life to the loving care of Cindy and enjoying the love of her family. 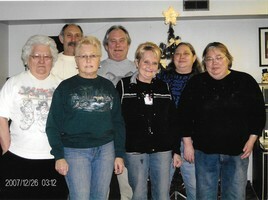 Christmas was a special time for memories as family got together at Ada’s home. Not known for being a social butterfly Ada loved to have the family come to her, and enjoyed every moment. Ada was always a hard worker, either working in the bog with onions, gardening or taking care of the home, Ada always had a task at hand. Ada will be missed by her family, friends and community. Donations are being accepted for: ALAN THICKE CENTRE FOR JUVENILE DIABETES RESEARCH CORPORATION. Provide comfort for the family of Ada Pearl Weston (Smith) by sending flowers. So sorry to hear this. Ada was such a heart warming person who was always there for us kids and many others. Will always cherish the memories. Condolences to the family.❤ Sharon Scouler (Tedball) and family. To the family: I am very saddened to hear of Ada's passing. She was a great neighbor and, cherish all the memories.